This rather unusual picture is all about the power of light and it´s connection to life. The beauty of the simple text highlights the way sunlight brings dawn, which touches water, which rains and ´waters the wheat'and ´feeds the leaves´. Eventually the light touches you and me connecting all living things. 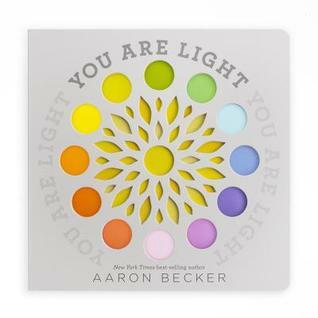 What makes the book extra special is the use of die-cuts and colored plastic to highlight the various colors that the light brings to life. The book needs to be held up to the light to be fully appreciated, but it´s worth the effort. A deceptively simple, yet gorgeous reminder of the power of light to bring life. This book is about Circle. This book is also about Circle's friends, Triangle and Square. Also it is about a rule that Circle makes, and how she has to rescue Triangle when he breaks that rule. 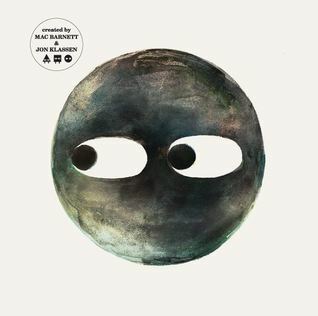 With their usual pitch-perfect pacing and subtle, sharp wit, Mac Barnett and Jon Klassen come full circle in the third and final chapter of their clever shapes trilogy. Like most Mac Barnett books, Circle, has an unusual twist at the end, leaving the reader to come to his or her own conclusions. As Circle, Triangle, and Square get ready to play hide-and-seek, Circle reminds the others not to hide behind the waterfall because it´s dark. When Circle opens her eyes, Square tells her that Triangle went behind the waterfall. Circle sets out to find her friend. It does indeed prove to be a bit scary and Circle´s irritation shines through when she finds Triangle, or at least seems to do so. But as with most Barnett books, things are not as they seem, and the reader is not provided with all the answers, leaving the reader to come to his/her own conclusions. This makes the book a remarkable personal one as each reader will come away from the book with his or her own opinion. 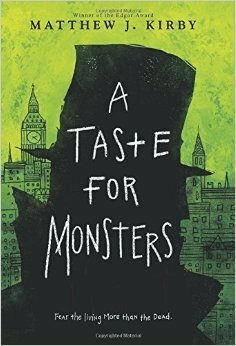 It also makes it a great book to use in teaching as it provides students with a chance to infer and speculate and participate in the story. A fitting ending to an intriguing new way to learn about shapes. Another exciting book in an appealing, standout graphic novel series for middle grade readers. In this 5th of 6 books, the tension builds to a crescendo as HiLo and D.J. set out to discover the remaining missing pieces of HiLo's memory. 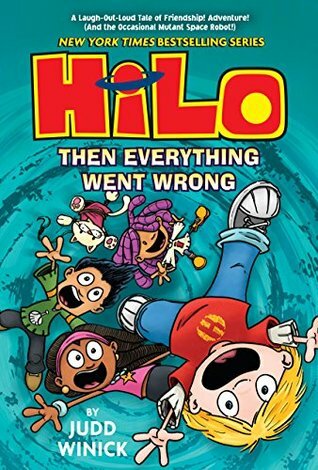 While they visit HiLo's world and discover that things have changed drastically since HiLo was there last, Gina, Izzy, Lisa, and Polly are left to cover for their absence. Izzy create a couple of robots to fill their shoes, but it's immediately clear to Gina that both robots behavior are raising suspicions. And the military is getting ever closer to discovering The Comet's identity. The characters are delightful, even the villain is sympathetic at one point, and provide plenty of humor to balance out the intense fight sequences. The colors are bright and eye-catching. And the twist at the end is jaw-dropping in it's implications for the final book. I very much look forward to reading the final chapter of HiLo's story and finding out what happens to all of the different characters. When Kayla can't find the tooth she lost, King helps her search for it. As with the other books in this series, King tells the story and shares information with the reader that Kayla doesn't know. This is kind of fun for the reader who now knows more than one of the main characters. It's fun to then take the information and try to solve the mystery. The book also teaches basic problem/mystery solving in addition to providing a fun story. Even though King solves the mysteries with Kayla's help, he still manages to behave like a dog as he tells us all about his favorite things. 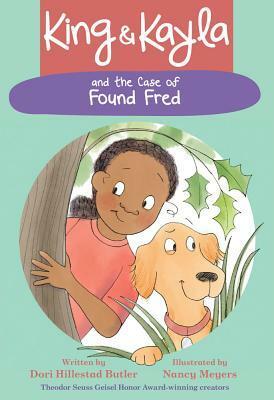 This is a delightful early chapter book series for young readers who enjoy dogs, mysteries, or great friendships. King, Kayla, and Grandma find a dog who has lost his human family. What does Kayla know?--This dog doesn't have a collar or any tags. He can sit, lie down, and shake hands. No one around here knows who he is. What does King know? --The dog's family is staying at a campground. Can they figure out who he is and where his family is? King and Kayla are staying with Kayla's grandmother in a cabin by a lake. When King comes across a lost pup, the two set out to find his home. But it's going to take more than Kayla's observation skills to find where the pup belongs, it's going to take King's nose and ability to communicate with the lost dog. As with the other books in the series, Butler takes the reader on an enjoyable journey with King providing his usual amusing commentary and insights. Young readers are bound to enjoy this glimpse into the friendship of a young girl and her dog as they use their problem-solving skills to help those around them. 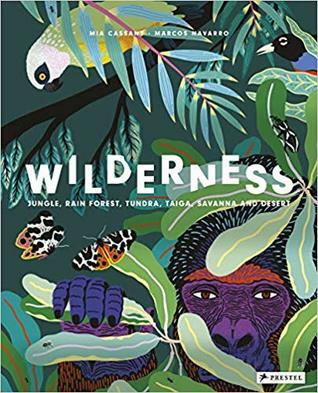 Wilderness not only highlights some of the worlds protected wilderness in brief text and gorgeous illustrations, but it's also a fun search-and-find and counting book as well. The various parks and World Heritage sites mentioned cover a wide variety of different types of habitat and wildlife. Each large two page spread gives the reader a chance to look at some of the flora and fauna of that particular wilderness area. Normally for a book like this I would prefer photographs, but these illustrations are so beautiful that they suit the book to perfection. The illustrations also include a variety of animals in varying numbers so that readers who desire to may search and count as well as read. The large size of the book makes the book great for lap reading and discussing as well. 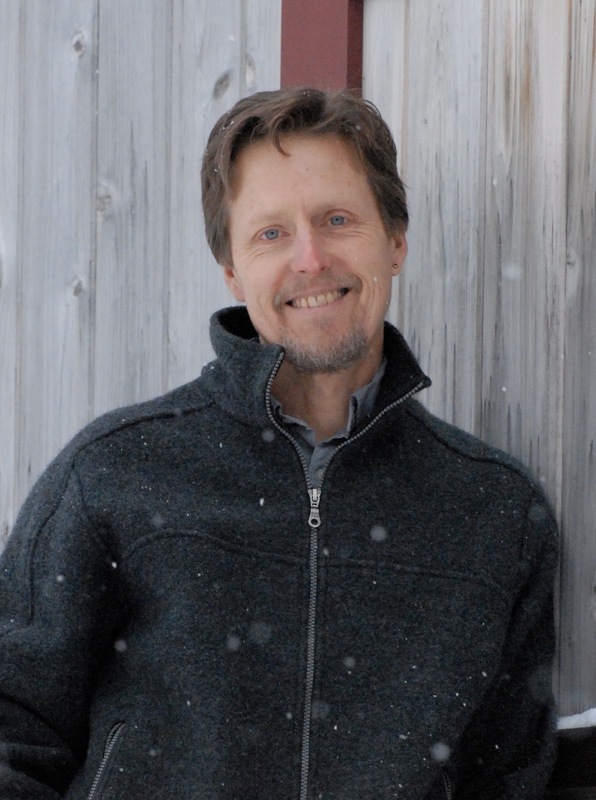 I felt the book was a powerful reminder of the importance and value of the world's few remaining wilderness areas. Anyone whose experienced the frustration of having perfect plans destroyed will be able to relate to Badger's frustration. 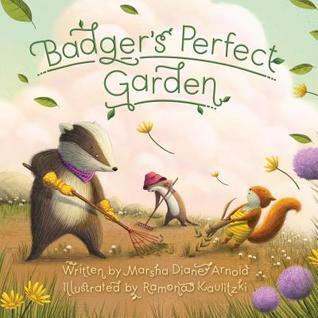 After taking the time to carefully plan and build a garden, with the help of his friends, Red Squirrel, Dormouse, and Weasel, Badger's heartbroken when the seeds are swept away and the garden destroyed in a storm. He works to avoid seeing the garden, a reminder of his disappointment. Until the day his friends arrive on his doorstep to show him that sometimes even thought things don't work out the way one hopes, the results can still be good. Not only is this a delightful book about gardening and the hazards that can go with it, it's also a sweet reminder that sometimes things work out even when our plans don't. The illustrations are darling and compliment the text beautifully. A wonderful book all around, especially for those looking for stories about friendship, gardening, or overcoming disappointment. I've become a big fan of this delightful series. Narwhal and Jelly are fun characters who make me smile. Yet they have their problems too. In this volume, Jelly becomes jealous after they meet Otty the explorer otter. Otty invites them to join her on her journey, but Jelly isn't sure he wants to. Jelly's efforts to deal with his jealousy aren't too successful despite his telling the "Super Waffle and Strawberry Sidekick" story. 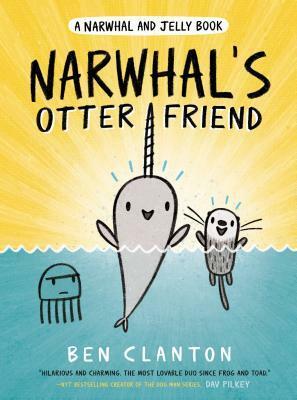 But Narwhal's a loyal friend and reminds Jelly that there's room in his life for lots of friends. Another delightful tale in a fun graphic novel series for younger readers. The illustrations are expressive and enjoyable to look at and the Super Waffle comics are hilarious. If only all learning could be this fun! 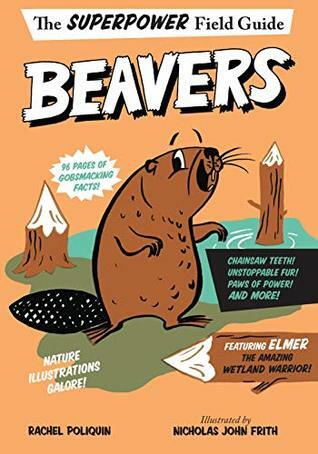 This nonfiction book about beavers could have been as dry as a bone, but it isn't. The focus of the book is on the animal's 'superpowers' or as the Wild Kratts might say, 'creature powers'. Combining text and visuals in a seamless way, Poliquin and Frith have created a thoroughly engaging book about beavers. The book is divided into ten sections. Each section focuses on one superpower such as chainsaw teeth, unstoppable fur, and paws of power. The cartoon-like illustrations add to the amusing tone of the book, but the information is accurate and fascinating. I learned things I didn't know about beavers. If only all nonfiction could be this much fun! This adorable book about nature and the place human beings hold in it delights the senses. 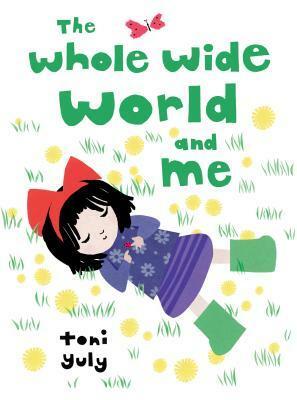 The cute little girl with her red bow, purple outfit, an green boots stands out on each spread as she starts with a flower, then moves to a field, then a pond, as the world around her gets bigger and bigger and she ends up looking at an large expanse of prairie and hills before returning to dandelion fluff as she blows it away. The illustrations are what delight here with the gorgeous cut/torn paper collage the highlights the beauty that exists around us. A seemingly simple tale of a girl learning to appreciate the natural world around her and her place in it. One little girl dreams of being a star. But whether it's finding Mum's lost wedding ring or winning the fancy-dress prize, her big sister always shines brighter. 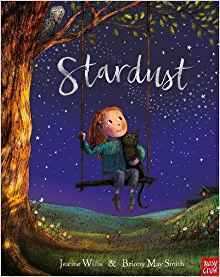 Yet for her grandad she is a star and, as he dries her eyes and they both gaze up at the night sky, he tells a story, the story of the beginning of the world. Everything and everyone is made of stardust, and we all shine in different ways. It's a lesson this little girl will never forget ...and one day her dream comes true, and she finally realises her ambition to become an astronaut and fly up to the stars. A little girl wants to be a star, just like the beautiful sparkly ones in the sky. But somehow she never quite manages to live up to her older sister's exploits. Eventually her grandfather explains to her that just as the earth and all it's living creatures are made of stardust, so is she. He reminds her that while she doesn't shine in the same way as her sister, she does shine in her own way. With this reminder, the girl keeps dreaming about life's possibilities. My favorite part of this book are the bright, colorful, touching illustrations that highlight the girl's dreams and her failures. I don't know anyone who can stand being reminded once in a while that they are made of stardust and deserve to shine. I don't normally review young adult books, but this one appealed to me for some reason. And I was not disappointed. I found Evelyn to be a very sympathetic character in her struggles to survive. And the connection she establishes with Joseph Merrick, the so-called Elephant Man, is a sweet, tender one. Evelyn's scars and Merrick's disfigurement allow them to empathize with each other. But Merrick's appearance takes some getting used to and Evelyn struggles at first, but she's so glad to be off the streets and in 'hiding' that she continues to serve him despite her discomfort and over time the discomfort disappears. The other thing the two have in common is the appearance of some very haunted ghosts who appear to be the victims of the "Leather Apron", soon to be known as Jack the Ripper. The hauntings disturb Evelyn, but they have a much more severe effect on Merrick, they appear to be killing him. In order to save him, Evelyn enlists the help of Charles, a frequent visitor who has expressed interest in her. With Charles's help, Evelyn seeks to find out enough about the ghosts to help them find peace. If she doesn't, she fears Merrick won't survive the onslaught. The book was quite compelling, especially the mystery of the ghosts and the terror brought about by the murders. The gruesome murders and blunt discussions related to it make this book more appropriate for young adult readers. The combination of the sweet relationship between Evelyn and Merrick and the horror related to the hauntings and murders makes for an different sort of read. The details about life on the streets and the suffering of so many was difficult to read at times, but all to realistic. Kirby's done a good job with this one. Fasten your seat belts for some unexpected turbulence ahead, as Jaundice and Kale Bland are back for their final unintentional adventure! Now that they’ve returned from the Uncanny Valley to find their home in Dullsville in absolute shambles, the sisters are rescued by high-flying aviatrix Beatrix Airdale. This time, they’re jetting off (literally) to Egypt to uncover the mysteries of a magical scarab. By way of Casablanca and after foiling multiple attacks along the way (thanks to Jaundice’s nautical knot-tying skills and Kale’s super-sleuth powers of observation), the Bland Sisters are reunited with their parents. But it turns out that Mom and Dad aren’t as bland—or as “Bland”—as Jaundice and Kale remember. 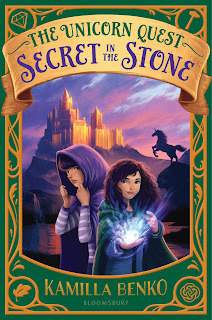 Thanks to their mother’s old archeology notebook, the Bland Sisters uncover their parents’ real identities and help them achieve victory in one final, family-filled adventure. Jaundice and Kale Bland aren't the adventurous type, at least they didn't used to think so. But that was before they were kidnapped by pirates and solved a mystery on a train. And now they are on the ultimate adventure as they set off to find their parents in Egypt. Naturally they run into plenty of trouble along the way, not the least of which is Jaundice's air sickness. And once the girls and their companion reach Egypt there is the matter of finding and rescuing their parents. Once again, LaReau has written a wryly amusing story full of unexpected twists and turns and funny reactions from the girls and their companions. I appreciated LaReau's taking the time to research her subject before deliberately fictionalizing things for the sake of the story. This is a fun series for those who enjoy stories with a wry twist and rather atypical characters. 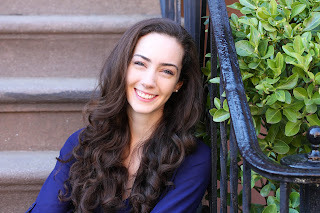 Kara LaReau was an editor at Candlewick Press prior to becoming a full-time writer. She has published many acclaimed picture books for children including Ugly Fish, Rabbit & Squirrel, and Otto: The Boy Who Loved Cars. 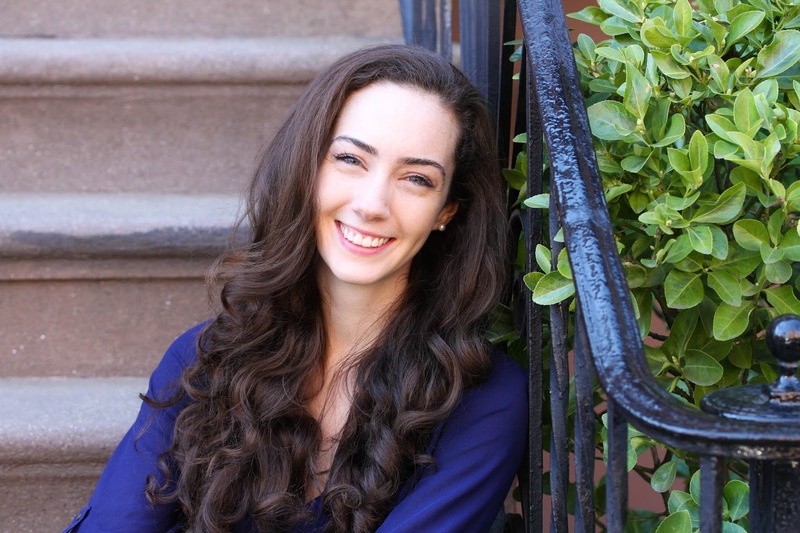 Kara lives in Providence, Rhode Island, with her husband and son and their two cats. Find out more at karalareau.com. 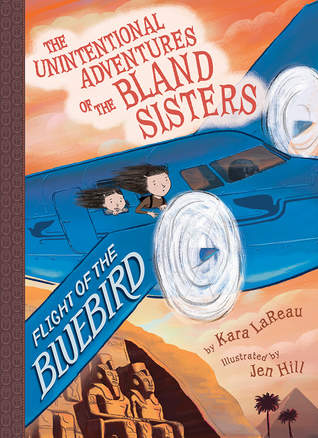 Writing Flight of the Bluebird, the final story in the Unintentional Adventures of the Bland Sisters middle grade series, was a particular challenge — and not just because it’s the third story in the trilogy, so I felt extra pressure to go out with a bang. Flight of the Bluebird is the only story of the three set in a real place —Luxor, Egypt, for the most part—with a real (and very rich) culture and history, all of which I wanted to present in an accurate and respectful way. So how did I get this bird off the ground? First, I did a lot of research. I wanted the story to be an homage to Indiana Jones adventures (with a bit of Casablanca thrown in for good measure), so I watched and re-watched those movies and took lots of notes. I also researched: Ancient Egyptian history, tombs in the Valley of the Kings, archaeology in the 1920s-1930s, Egyptian hotels and tourism in the 1930s, and local customs and foods. That was just to start. When it was time to really get down to the business of writing the story, I knew, without having traveled to Egypt, that I was going to need expert help. Fortunately, I found it very close by. James Allen, Wilbour professor of Egyptology at Brown University and past president of the International Association of Egyptologists, generously volunteered his time and energy to talk with me and review all-too-rough drafts of my manuscript. Professor Allen provided information about the logistics of traveling in Luxor, modern archaeology and the ethics of its practice, and fascinating details of Ancient Egypt, many of which I used, and some of which I fictionalized. Professor Allen’s wife, Susan, also a well-traveled historian, lent me her expertise as well. I am grateful for their wisdom, and for the fact that they happen to live just a few blocks away from me here in Providence, Rhode Island! There is quite a bit of air travel in Flight of the Bluebird (as its title suggests), and I wanted to make sure that the flight sequences and bits of trivia were correct. A friend referred me to local pilot Allyn Copp, who reviewed all of the aeronautical details. In addition, I read biographies and watched documentaries about Amelia Earhart, Bessie Coleman, and Nellie Bly, all of whom inspired the character of Beatrix Airedale, the aviatrix/action hero the Bland Sisters encounter in this story. Those ladies’ lives were more interesting than any story anyone could write, so I definitely recommend you check them out. I’d like to believe I rose to the challenge I set for myself with this story, and that readers will find Flight of the Bluebird authentic and respectful and vibrant with detail, as well as a fitting ending to this quirky series; getting there was its own unintentional adventure! 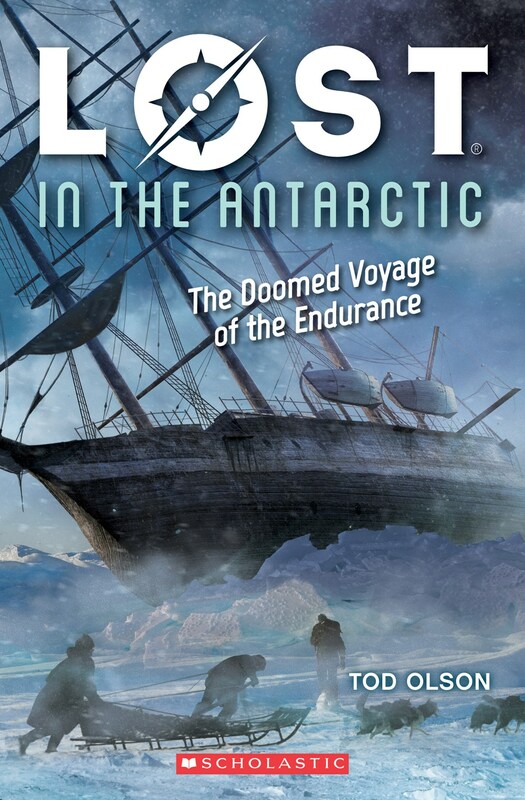 Shackleton's famous voyage to Antarctica has been written about a lot. I've had the privileged to read some of those works. This book takes the many accounts of the voyage of the Endurance and makes it understandable for young readers. Having enjoyed his other Lost books, I looked forward to reading this one even though I was already familiar with the story. Olson does a great job of telling the story in a compelling narrative that moves along which is important for the target audience. He includes enough detail for young readers to have an idea of how hard the journey was for the participants while not getting bogged down and losing their interest. In fact, I thought he did a superb job at including important details that give the readers a taste of the hardships the men endured and the difficult decisions that had to be made. The photographs from the expedition were well chosen and did a nice job of showing the realities of the time and place. An excellent addition to a compelling series. Down home is Granny's house. Down home is where Lil' Alan and his parents and sister will join grandparents, aunts, uncles, and cousins in a rich celebration of family history. It's where he will hear stories of ancestors and visit the land that has meant so much to all of them. And down home is where each of the children will find their way to pay tribute to family history. All of the other children know what to do...but what will Lil' Alan do? 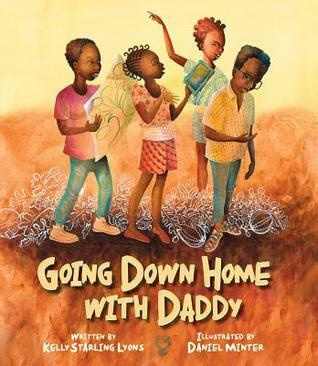 Richly told and gorgeously illustrated by the team that brought you Ellen's Broom, for which illustrator Daniel Minter received a Coretta Scott King Illustration Honor Award, Going Down Home with Daddy is a story about family history and a celebration of the Black family reunion culture. But it's also a story about a young boy finding his place in his family, and learning just how valuable a family is to one another. Because like Daddy says, there's nothing like going down home. Lil' Alan and his family set off for the family reunion early one morning. Lil' Alan is both excited and uncertain about the trip. He's excited to see his extended family, but he doesn't have anything to share for the celebration. As Lil' Alan and his family enjoy being with family and spend time remembering the past, Lil' Alan develops a greater appreciation for his currently living family members but also for his ancestors as well as the land. Lyons has told a tale honoring the importance and value of family and family history that will resonate with many readers. Minter's luminous illustrations shine through with love and joy. This story is a powerful reminder of the role that family plays in our lives. From the creators of You Are Stardust and Wild Ideas comes a new informational picture book that explores how humans are inextricably connected to nature. This book draws examples from the clouds and the cosmos, the seafloor and the surface of our skin, to show how we are never alone: we are always surrounded and supported by nature. Whether it's gravity holding us tight; our lungs breathing oxygen synthesized by plants; the countless microorganisms that build our immunity; or the whales whose waste fertilizes the plankton that feed the fish we eat: nature touches every aspect of how we live. Using lyrical text grounded in current science alongside detailed diorama art, this book presents the idea that we thrive through connections to the land and sea and sky, and togetherness is key to nature. 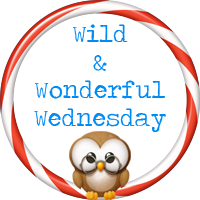 It encourages inquiry-based learning, inviting readers to wonder, ask questions, observe the natural world, and engage with big ideas. An author's note at the end offers more insight into the research behind the text. 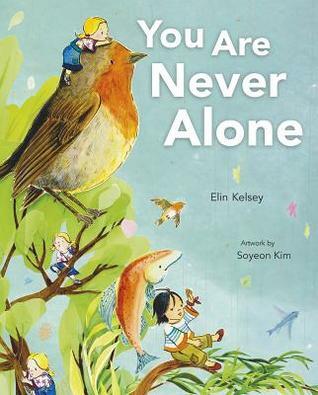 The combination of lyrical text and symbolic images makes for a fascinating read in Kelsey and Kim's You are Never Alone. The gorgeous dioramas (shone in their completeness on the back of the jacket) show adorable children enjoying the wonders of nature. This creates an imaginative feel for the text that highlights the many ways that nature touches our lives for the better. With so much focus on the negative interactions between humans and nature and the challenges of climate change, it's easy to get down about the future. This book highlights the delights that remain with us if we take the time to see them. A book ripe for discussion between parent or teacher and child. A very childlike view of the world that reminded me to take the time to "smell the roses" so to speak. The letter waits in a book, in a box, in an attic, in an old house in Lambert, South Carolina. It's waiting for Candice Miller. So with the help of Brandon Jones, the quiet boy across the street, she begins to decipher the clues in the letter. The challenge will lead them deep into Lambert's history, full of ugly deeds, forgotten heroes, and one great love; and deeper into their own families, with their own unspoken secrets. Can they find the fortune and fulfill the letter's promise before the summer ends? I've always loved puzzle stories such as The Westing Game so I was intrigued when I heard about this one. And I thoroughly enjoyed it. The connection to The Westing Game didn't hurt any. I found the way the author entwined the stories of the past and the present along with the puzzle elements to work really well. Candace makes for a sympathetic character as she struggles with her parent's divorce and having to move away from her friends. She resents it a bit when her mother pushes her into befriending the boy across the street. Until she discovers that she and Brandon both love reading. And after she discovers the letter her grandmother left for her, she needs help trying to solve the puzzle since she knows her mother won't approve of her efforts. 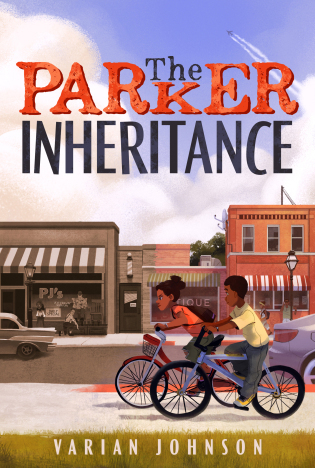 As Brandon and Candace work to solve the mystery surrounding her grandmother's digging up the local tennis courts and the possibility of a fortune just waiting to be found, they also have to deal with family and bullying issues. Flashbacks scattered throughout the book take the reader back to the events that lead to the creation of the letter and the treasure hunt giving the reader additional insight into the circumstances that lead to Candace's and Brandon's involvement. Johnson manages to combine themes of acceptance and sexual orientation and racial identity with the fun puzzle elements into a book with depth and character. 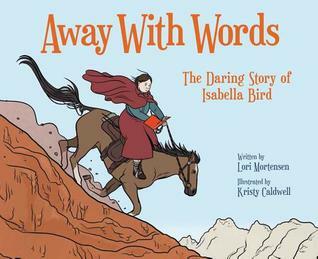 I really enjoyed this well-told tale of the adventures of Isabella Bird. Born in 1831, Isabella had health problems from a young age. Despite multiple doctor's visits, no diagnosis could be made. Isabella's life changed forever though when one of the doctor's suggested she get more fresh air. Her father started taking her with him when he traveled through the countryside visiting his parishioners. He taught her the names of the plants and animals they saw along the way and then he'd quiz her about it. Isabella thrived for a while. She especially enjoyed reading letters from friends and relatives far away. Her health deteriorated again though when she became a young lady and her outside trips diminished. Her doctor recommended a sea voyage and Isabella set out on her first big adventure. She detailed her trips in journals and wrote books after each trip. Her books became bestsellers. Except for a couple of times when other life events got in the way, Isabella spent many years traveling all over the world. I found this book compelling as I read about Isabella's numerous trips, some of them shared in her own descriptive words. The illustrations are bright, crisp, and attractive. I was delighted to read about a woman who loved exploring as much as I do (although I'm much more of an armchair explorer). This is a delightful account of a woman who, despite some struggles with societies expectations, found her love of adventure and let it take her on some amazing journeys. Writing a biography for young listeners (3-6 years old) is challenging. For one thing it's almost impossible to condense an entire life into one or two sentences. And then there's the problem of deciding what about that person's life should be highlighted. I do admire the attempt made in this book, but it's not entirely successful. While the illustrations are adorable and appealing, some of the text was a bit problematic for me. References to slavery were made when William Wilberforce and Abraham Lincoln were shared which is hard enough, explaining slavery to a three-year-old is going to be challenging. But what surprised me the most was in the description of Harriet Tubman, it isn't mentioned that she was a slave, just that she was told what to do all the time. That seemed a bit odd to me. And with Abraham Lincoln, the reader is informed that the Emancipation Proclamation freed all the slaves in 1863, which isn't accurate. It would have been better to say that Lincoln worked to help free the slaves (which he did by supporting and helping get the 13th Amendment passed). 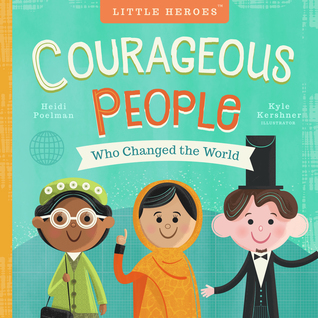 While the book is an admirable attempt to share with young readers the example of some people who did admirable things, the finished product could have been better. 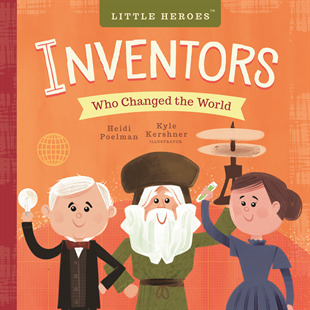 It was fun to read about some of the world's greatest inventors. And as in the previous book, the illustrations are adorable and appealing. As one would expect in a board book for young listeners and readers, there isn't a lot of detail about the inventors or their inventions. But there is enough to share the idea that people create some remarkable things. It would have been nice however for more than just one person of color (Cai Lun) to be highlighted, the other eight inventors were all white. Plus, only two out of the nine were female. A little more diversity would have been appreciated by myself. In addition, Thomas Edison continues to get credit for work that he did not complete on his own. An appealing book that could have been better. 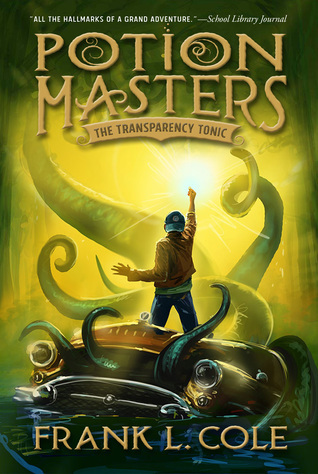 I was eager to pick up this second volume in the Potion Masters series. I found it to be a worthy sequel. In fact, the ending left me wanting the next book immediately. After the trouble that Gordy and his family and friends confronted in the first book, I expected Gordy to be a bit more cautious about the people around him, but like many teenagers, he wasn't. Despite his families precautions in dropping him off at school and trying to protect him from his enemies, Gordy finds himself in a great deal of trouble. It starts seemingly harmlessly with trouble at school, the principal threatens to expell him if he brings potions to school, but the principal's daughter pushes him into coming to a potion party at their house. In the meantime, Gordy struggles to maintain his already existing friendships with Max and Adilene. Adilene is frustrated that she can't mix potions the way Gordy can and as a result befriends a girl as obsesses with potions as herself, but who she knows little about. While Gordy struggles to learn new potion skills, he also struggles to rein in his tendency to follow his feelings rather than actual recipes which B.R.E.W. the governing agency of potion making frowns upon. And while all this is going on, Gordy's grandfather Mezzarix has joined forces with the strange Ms. Bimini and is seeking to break B.R.E.W. once and for all. The book reads fairly quickly, but does require knowledge of previous events. The creative potions and challenges that Gordy faces make for a refreshing series full of unusual twists and turns. This series provides a lot of entertainment and some interesting themes for young fantasy lovers. Where did the idea or ideas for the story come from? Many places! The main inspiration for the Unicorn Quest trilogy came from a visit to the Cloisters, a branch of the Metropolitan Museum of Art in New York City. There’s a room where all of the walls are covered in unicorn tapestries that depict the hunt of a unicorn. I was studying the tapestries when a question popped into my head: Why would anyone want to kill a unicorn? And from trying to answer that question, the land of Arden began to unfold. Another fun fact: in the room where they display the unicorn tapestries, there is also a massive fireplace that is so big, a grown woman can stand up straight in it. . . this was the direct inspiration for how Claire and Sophie came to find a ladder in a fireplace that leads to another world. How or what led you to become a writer for children? I never wanted to be a writer, actually—I wanted to be a children’s book editor! I was eleven years old at my great aunt’s house, reading a book in her yard, and I suddenly had the realization that in order for me to reading this book, someone had to decide that it should be published. 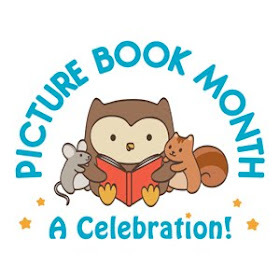 I love connecting readers with books, and so I thought (rightfully so!) that editors get to do that in a big way. And so I became a children’s book editor, and through the process of helping other’s find their stories, I eventually found my own. What do you enjoy most about being a writer? least? I love coming up with ideas! I have so much fun thinking about what could happen. . . the least favorite part is actually sitting down and breaking the terrifying white space of a page. What is something interesting about yourself that most people don't know? If you could go anywhere in the world on vacation where would you go and what would you do? I would really love to travel to Namibia and go on a photo safari. I adore animals and I love traveling far away from where I live, because I think it’s helpful when trying keep perspective about how little you are, and how grand and wide the world is.